Q. I’ve heard that Brittany and Normandy are some of the cheapest regions in France. Is this where I’ll find the best-value properties? A. Value is subjective, as silly as it may sound. There is no better region when it comes to getting the most for your money, because what the ‘most’ is changes from person to person. Brittany can be a great choice for buyers looking for larger amounts of land. That said, the region doesn’t have the monopoly on acreage. If you’re after heaps of land, Poitou-Charentes further south has plenty of property with hectares of land to choose from. Every region has its pros and cons, so we’d advise making a checklist of what you are looking for and this should help you narrow down your search area. If looking for warmer climes, then it’s best to rule out most of the northern half of the country. It’s also worth considering the kind of terrain that’s of interest, either more mountainous and hilly, or flatter (and more gentle on the suspension for cyclists!). Think about your other geographical requisites, such as proximity to the sea, and don’t forget to check major airports or transport links and how this might tie into where you’ll be going to or coming from. Q. I would like to take on a restoration project, but have limited funds. Are there grants available, especially for historic or listed properties? A. The short answer is yes. France’s Fondation du Patrimoine awards grants for restoration projects, and surprisingly even does so for non-listed buildings, not just reserving its funds for protected or listed properties. These can be applied for online, and President Macron recently signed off a new lottery in France to add additional funds to the foundation’s budget. Remember, you’ll also need to seek planning permission in your chosen area and look into possible renovation businesses and building companies. Visit the FrenchEntrée Business Directory for an extensive list of builders and renovation firms that work in France (including British ones). Q. I would like to start a B&B; what regulations/tax regimes should I be aware of? A. First things first, you need to inform the local mairie (town council) of your intention to start a B&B, otherwise you may be fined €450 right off the bat. It’s worth noting that you may be able to get subsidies for work/ renovation. Just inquire at the mairie. It should also be noted that in order to be able to serve drinks at breakfast, you’ll need a ‘small restaurant licence’, which enables business owners to “supply drinks to be consumed on the premises together with a meal”. This licence is granted by the local customs office and may, under certain conditions, be extended to alcoholic drinks. The local authority may also request a taxe de séjour (tourist tax). This tax is to be paid by customers at check-out and transferred by you, the gîte or B&B owner, to the town. Again, for more information ask at the mairie. Q. We‘re thinking of buying an old farmhouse, but would like to have a survey carried out to make sure we‘re not saddled with a complete wreck. 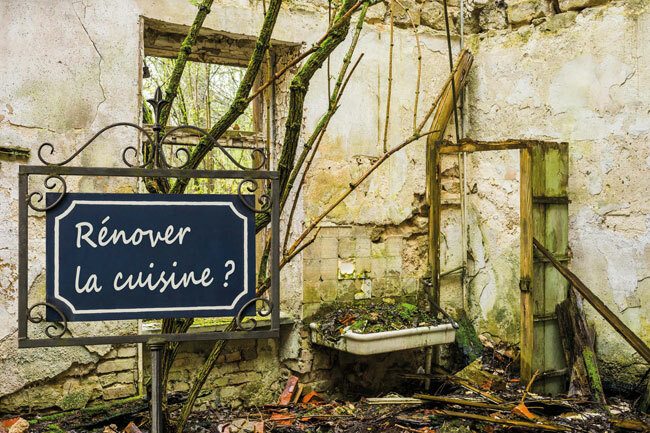 We’ve been told there are no surveyors in France; what should we do? A. The profession of surveyor doesn’t exit in France, not in the same way as in the UK anyway. But a growing number of British surveyors are now working in France. It’s worth noting that property surveys are very costly, so unless you suspect major structural issues it is far easier, quicker and affordable to hire a local builder to carry out the necessary checks, and give you an estimate. They’ll usually do it for you for free. Q. I’ve been told that estate agents often work with a specific notaire. Will I still be able to choose my own? A. All buyers in France are entitled to choose their own notaire. If you feel it’s particularly important to have an English-speaking notaire, for instance, feel free to appoint your own. Usually the buyer and seller share the same notaire, which can help streamline the process – especially where paperwork and correspondence are concerned. But appointing your own notaire won’t cost any more money – the two notaires will simply split the fee between them. Q. I’ve read that the taxe d’habitation is going to be scrapped. What does this mean for me? A. The government is planning to phase out council tax, known as the taxe d’habitation, over the next few years. But only 80 per cent of households will benefit for the exemption. To qualify you’ll have to fall into one of these categories: single-household where the individual earns less than €27,000 a year; a couple that earns less than €43,000 a year; or a couple with children and earning less than €49,000 a year. Q. How does the French healthcare system work? A. It is pretty straightforward. Appointments and treatments are paid for upfront. Around 70 per cent of the cost is then reimbursed by the state. Most people in France choose to sign up to a mutuelle, a private top-up insurance, to cover the remainder. The main advantage of the French system is being able to choose who treats you, bypassing the need for referrals. 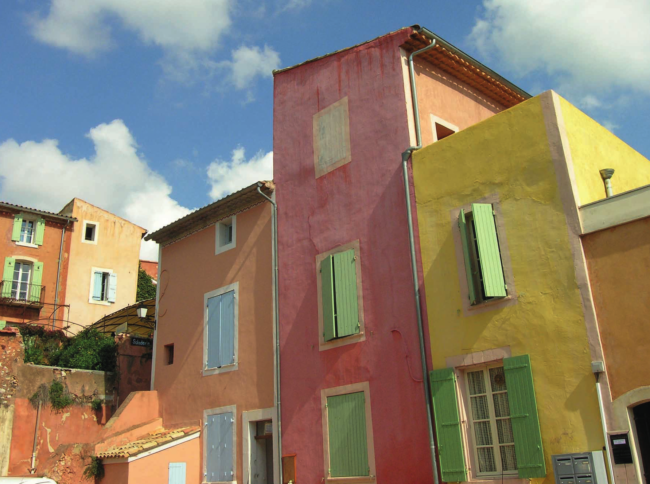 FrenchEntrée is more than just the leading guide to property and living in France. We offer a wide range of services designed to help you to buy a property in France. If you need a mortgage or advice on your international money transfer, FrenchEntrée is dedicated to assisting you through all the steps of your property purchase.